Six specially-shaped soft play forms create a motor perceptual playland. All shapes hook & loop together and the shatter-resistant acrylic mirror draws little learners to experiment and grow. Incremental sizing encourages large muscle development. 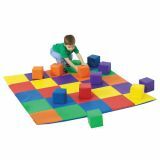 71"L x 70"W x 20"H. Ages 12–36 months. Additional shipping charges apply. 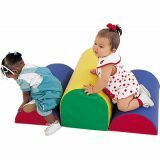 This climbing piece helps to develop both physical and mental fitness of young children and equip them to tackle challenges. Two bumps 6"H and one bump 12"H form one soft unit. 36" x 24" x 12". 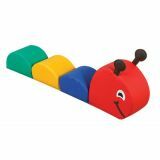 Soft, easy to wipe clean caterpillar features a different sensory element inside each antenna, a squeaker and rattle. 2-year warranty. 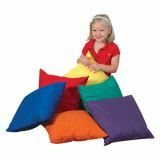 Body is 6"H and head is 11"H. 41"L x 6-1/2"W.
Create cozy spaces anywhere in the room with these extra large brightly colored pillows! 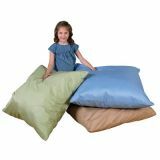 Pillows have a silky polyester outer cover that is both comfy and wrinkle-resistant. Zips right off for machine washing. 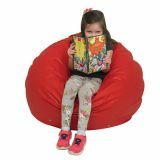 Huge pillow will be a favorite for resting, reading or sitting with friends. 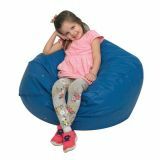 Stuffed with shredded foam which is soft yet supportive. 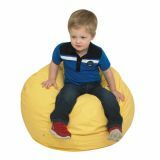 Foam is surrounded by a durable water repellent fabric to repel liquid and bacteria.